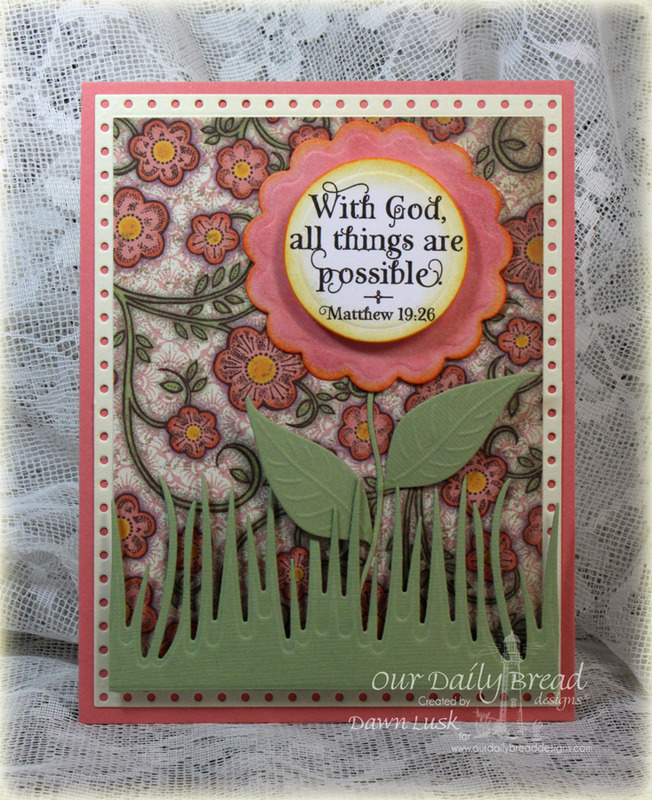 Welcome to Our Daily Bread Designs 7th Anniversary! 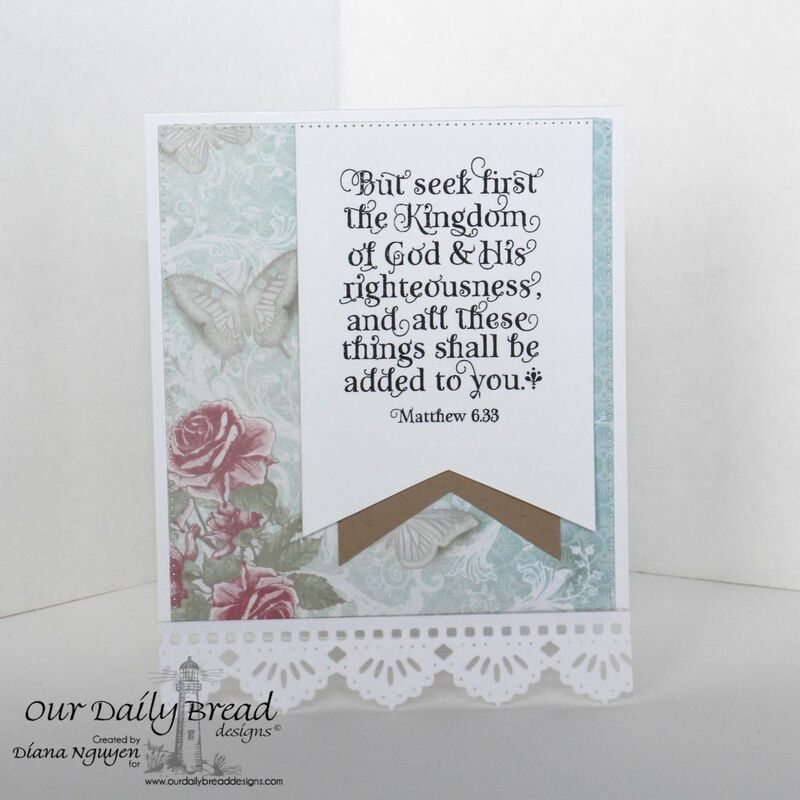 Every year in the past we have offered new scripture collection sets (that are on sale this week, see the post HERE) and we now have 15 different sets. This year, I thought I would change it a bit and try a new idea. Today, I am showing you our new "God" sets. We have a "God Verses" and a "God Quotes" stamp set. Since God has blessed me so much in my life, in so many different ways, I thought it only fitting to honor God with these stamp sets. The stamps have been typeset in a beautiful font that will look awesome on cards made for your loved ones. 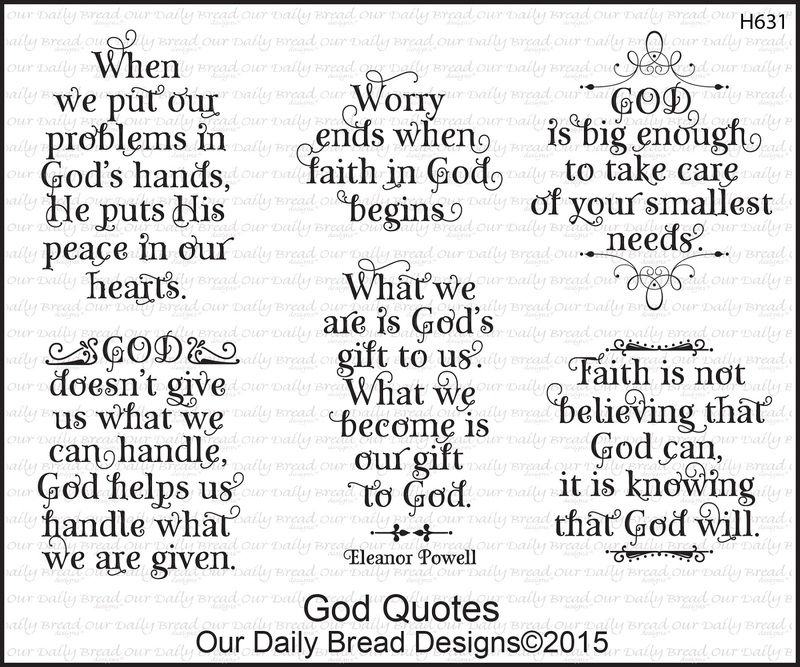 The quotes remind us to put your trust and faith in God and He will take care of your problems and needs. We hope you enjoy the inspiration from our designers using the Special Edition Commemorative Anniversary stamp sets, links to their blogs can be found under their project. Seven randomly selected winners will each receive one of the new ODBD Anniversary stamp sets just for commenting on the Design Team cards! You have until March 21, 2015 at 9:00 p.m. EDT to leave your comments on the Designers Blogs for a chance to win! The Winners will be posted on the ODBD Blog on March 22nd, so be sure to check back to see if you won! Also, don't forget to upload your card to the Customer Scripture Challenge and you could win $15 to spend in the ODBD store! More info can be found HERE. Thank you so much for stopping by today! 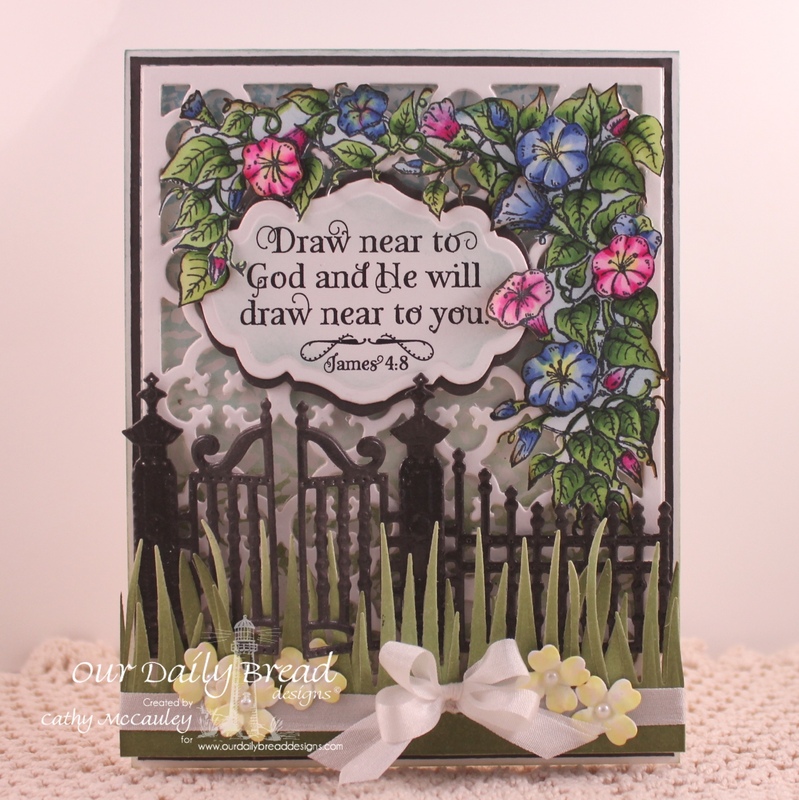 I hope you enjoy seeing our new stamp sets and you take the time to do the Blog Hop!! This is one of my favorite blogs - everything about it is so attractive - and your DT members put out such OUTSTANDING inspiration week after week. Thanks to all of you. 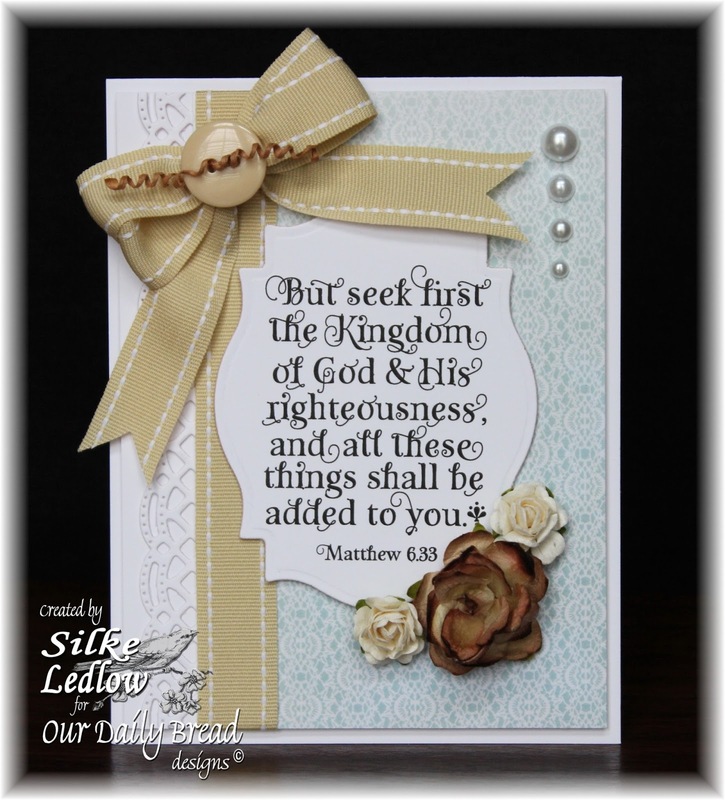 LOVE the idea of quotes and verses!!! 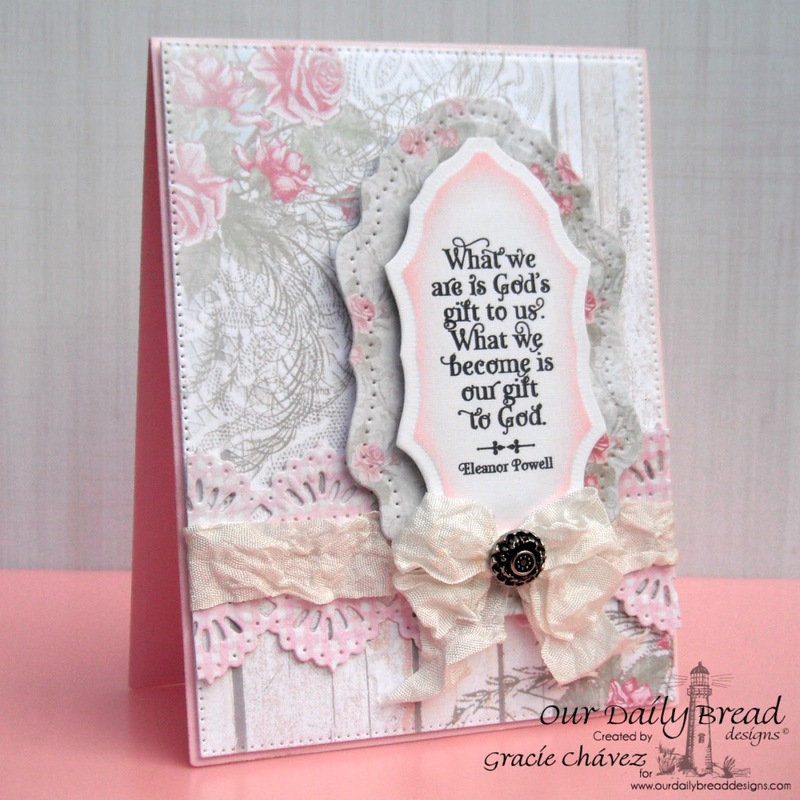 These cards are absolutely gorgeous, such talent and love poured into each one!! Happy Anniversary ODBD! What a fabulous job you and the Breadsticks have done with the new releases. Can't wait to get my hands on them! Keep up the good work!!! Now I am going to have to get these. Congratulations on 7 wonderful years. 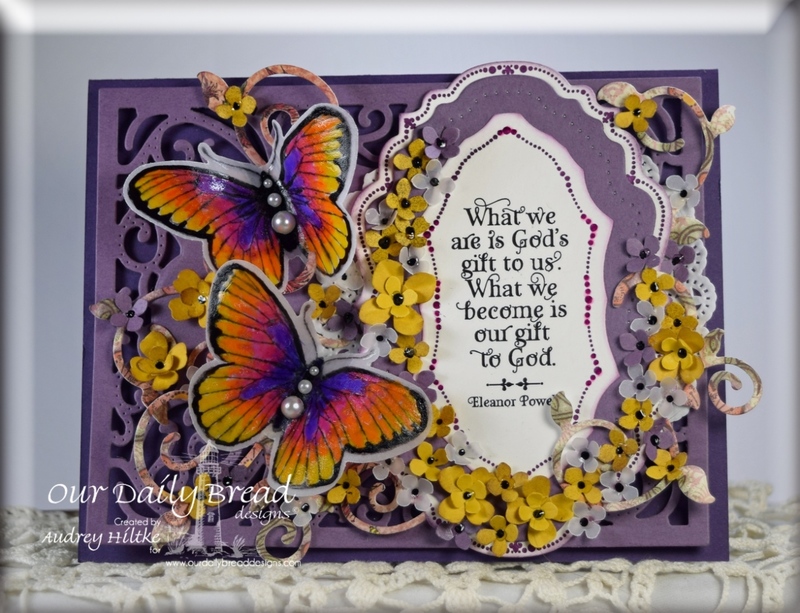 I LOVE the quotes and the versus...they are inspiring in themselves, but the cards are beautiful and make me want to dig in and get started making some cards myself. Thanks for all of your inspiration and for continuing to make fabulous products! Happy 7th Anniversary! What a wonderful display of the "God verses" and your design team's talent! All the cards are so gorgeous and unique! Well done ODBD! Love them all!!! 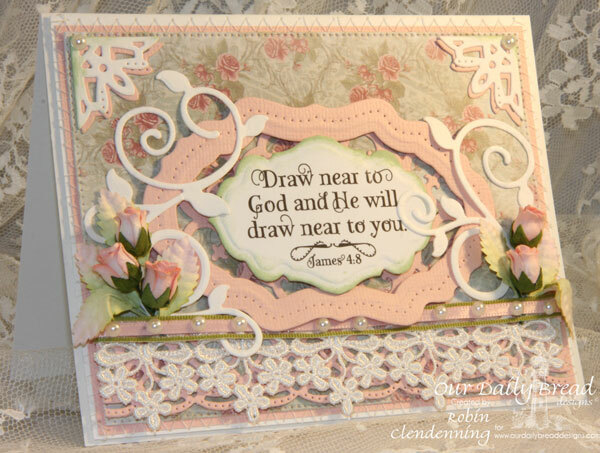 you have created with your stamps and inspiration. These new stamp sets are amazing! Beautiful and inspirational. Thanks to all of the design team. Happy Anniversary! Beautiful cards! I love the inspiration you've provided. Love the new stamp set, too! I love that ODBD sponsors shipping for Operation Write Home every month. That's commitment! Your stamps are always of the highest quality. Deeply etched and great designs. Happy Anniversary to Our Daily Bread. Love the verses and the quotes. Wonderful group of ladies that have created these cards. They are such a blessing. I know they enjoy doing what they are doing. It is wonderful how God gives us the desires of our hearts. Hugs to all of you. Two more great sets and wonderful job by the team!! Happy Anniversary! Loved the blog hop, thanks for the inspiration! 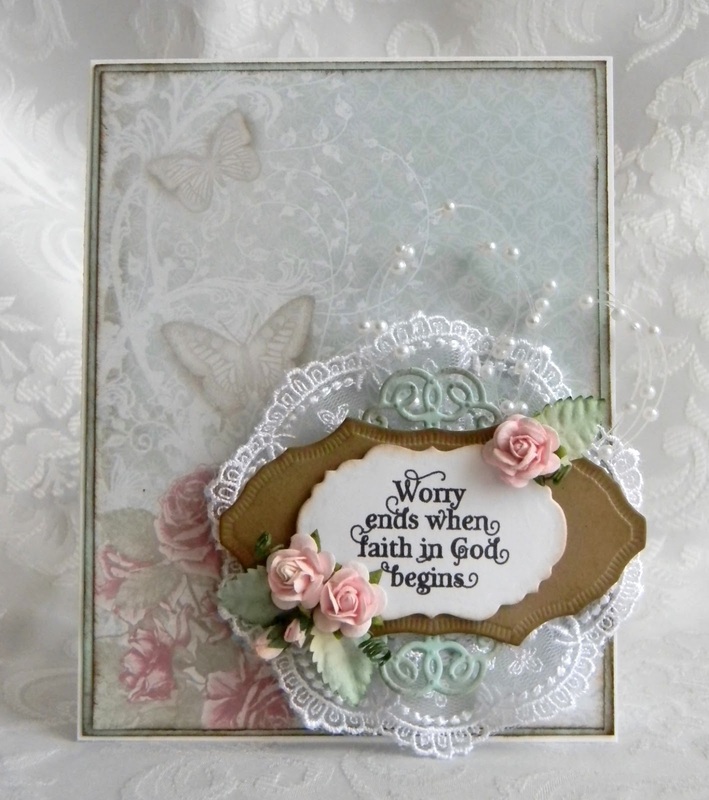 Love these special anniversary sentiments and scriptures! 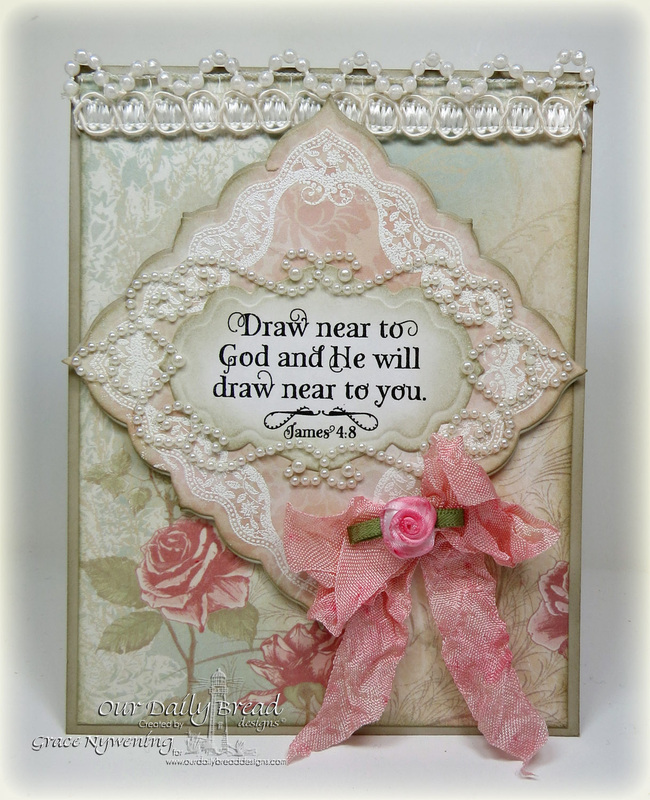 My favorite is on the second sheet- "Draw near to God and He will draw near to you." Thanks so much for a chance to win them! 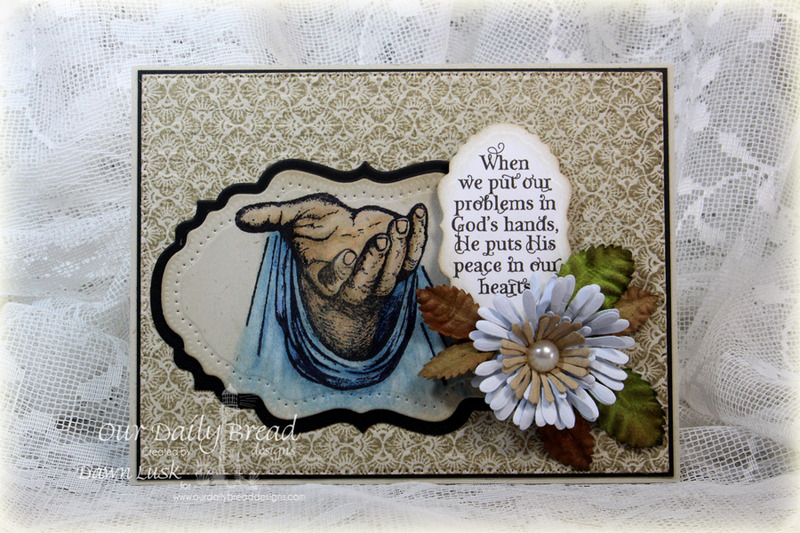 I love, love, love the God Quotes and the Card that Lori did. It was so beautiful! Happy anniversary! Your Breadsticks have done a fabulous job! 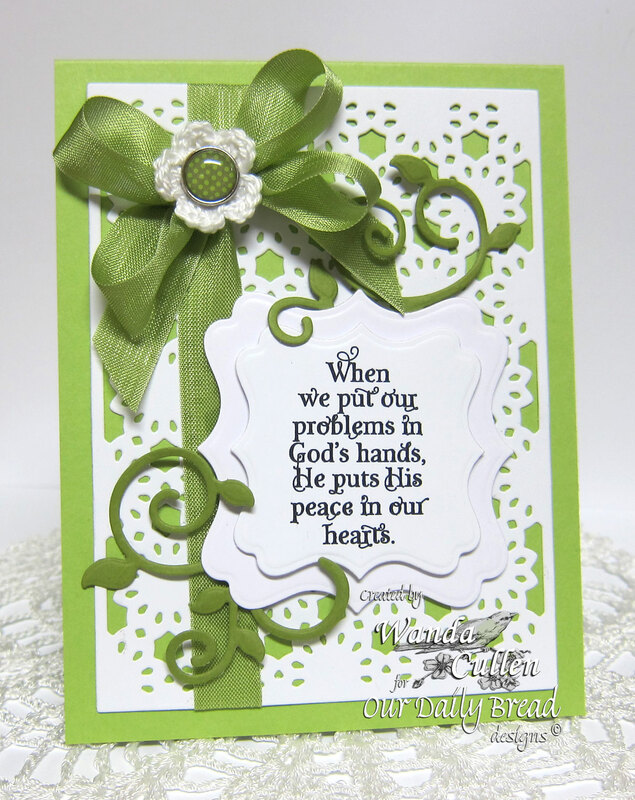 The lime green with butter yellow daisies and daisy background card calls to me. It is fresh and cheery. I love all ODBD projects of course, but this one stands out. 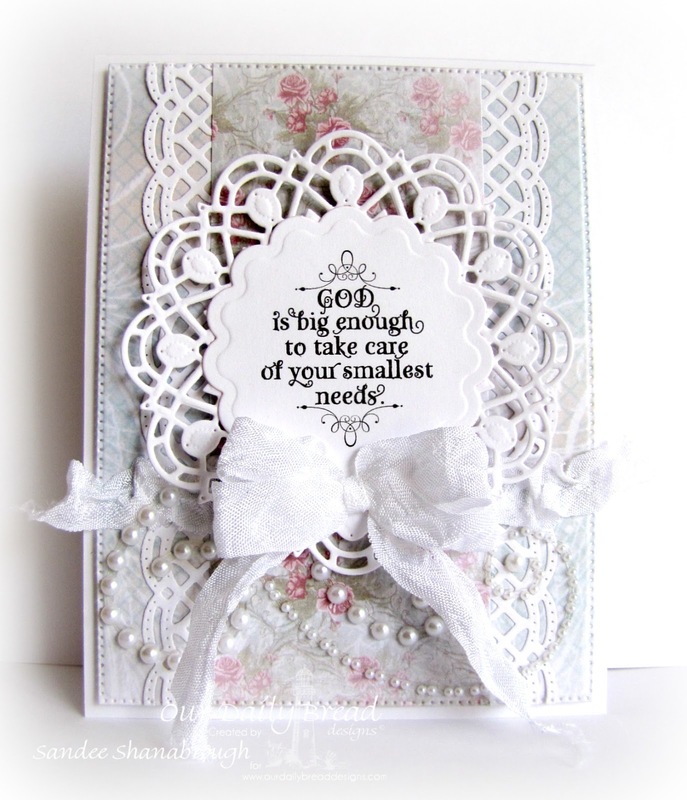 These cards are absolutely gorgeous - both in presentation and sentiment. I am so grateful for your participation with Operation Write Home. Thank God for our military and thank God for companies like yours who are willing to support them. Such beautiful work by everyone! I feel so inspired and encouraged. Love all the helpful tips that so many shared. Love, love, love the special anniversary stamps! Thanks for a chance to win them! Oh my word...the cards are amazing. Stunning. So much detail. I was thrilled to see you at the Stamp Expo in Mesa, Arizona. Such a talented team! Thank you for having the hop so we could indulge our senses! One of the most gorgeous Blog Hops ever. Thank you for the sharing your talents with all of us and thank you for spreading God's word. That is more important than anything else. Bless all of you. Amazing artwork by such talented women! Creative beauty and creative inspiration at its best! Love the both sets and esp. the fonts! 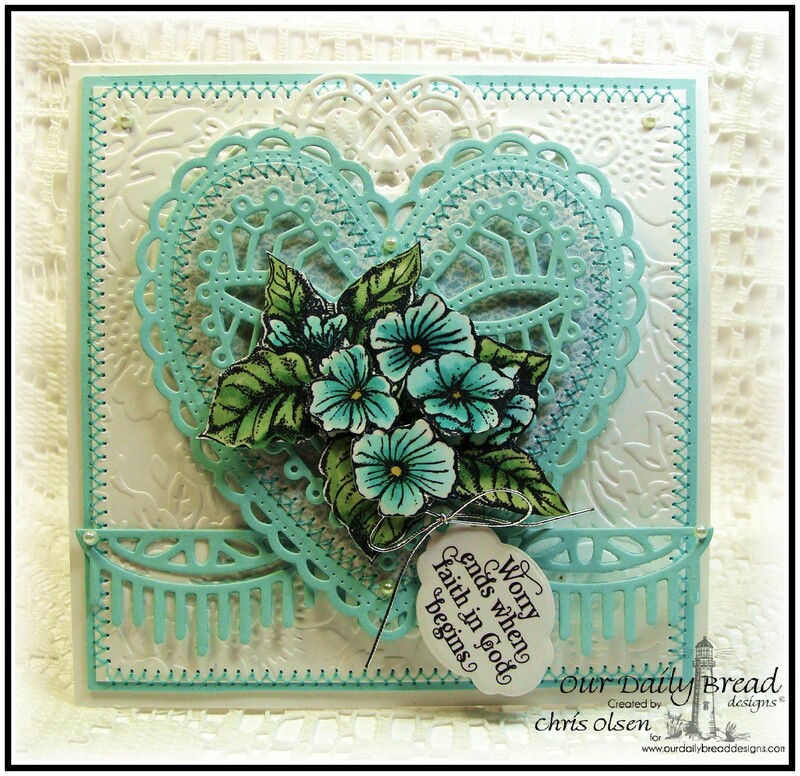 Wonderful new sets and the examples on the blog hop were fabulous. Has it been 7 years already? 7 years since the angel stamp, the lamb set and the fishing set? Love each and every one of your stamps! Can not wait to see you in Novi, MI! Safe travels to all your shows! Happy Anniversary!! loved the hop!! the cards and stamp sets are beautiful!! 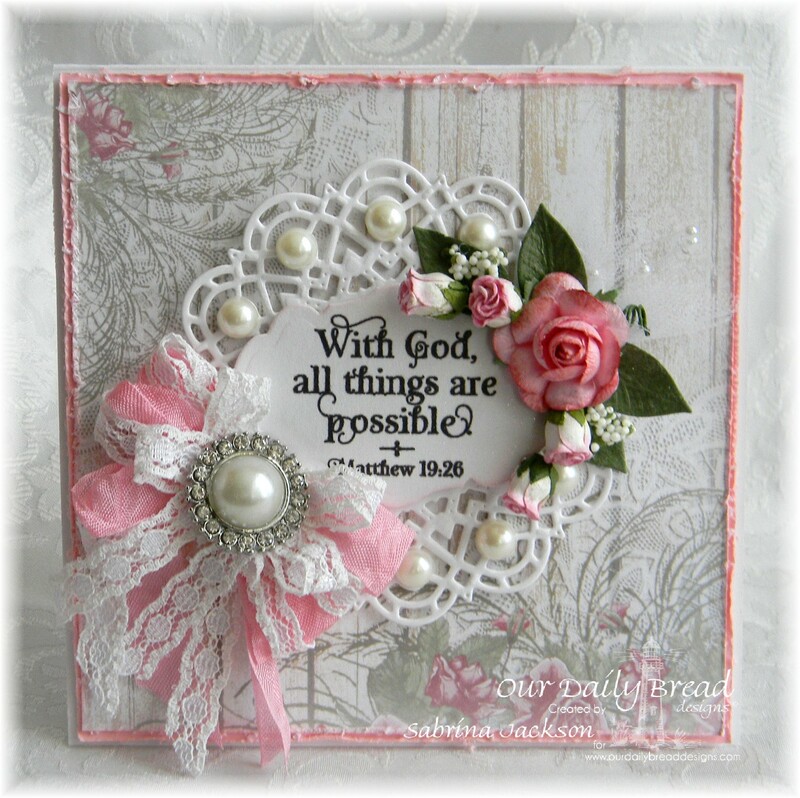 What an amazing blog hop! Loved all the gorgeous creations and thanks the inspiration! Happy Anniversary ODBD! Have a Blessed day! As a new subscriber to ODBD, first, I have to say Happy Anniversary. I enjoyed the hop and your designers beautiful work. The products I am seeing here are amazing. I love the sentiments and the fonts used. They are absolutely stunning. Thanks for the chance to win! You have such beautiful stamps - and the DT members create such stunning examples to inspire us. Blessings to all of you. The stamps are beautiful, and one of the things I really like - and appreciate - is the variety. Continued blessings to you, for you are truly a blessing to so many. Happy Anniversary! Your whole Design Team created wonderful cards to celebrate. Happy Anniversary! The Breadsticks are amazing! As are the beautiful stamps and products they showcased. I am in awe! These precious words and beautiful creations makes me salivate! I have to buy them! Happy Anniversary ODBD! I finished everyone's blog on the 18th and forgot to post here. 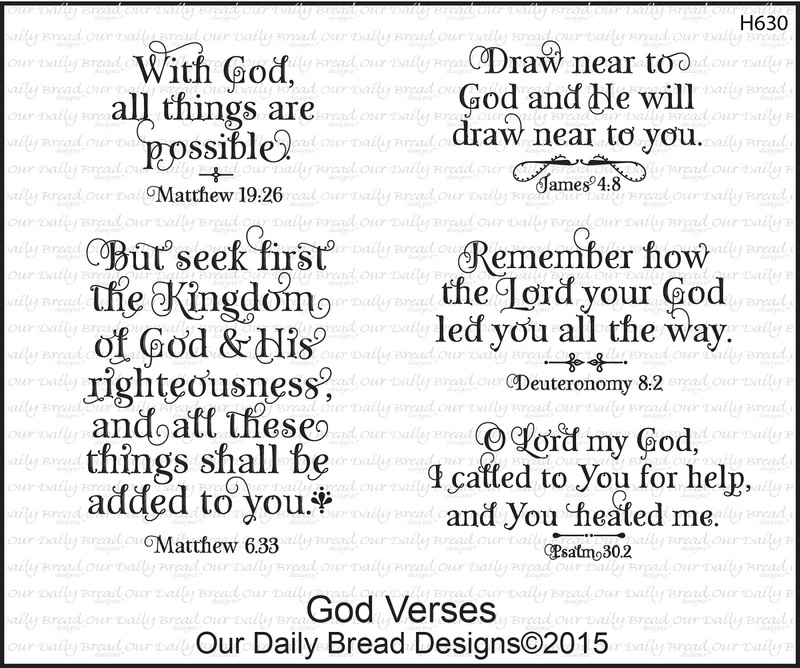 I guess I blew it, but I am loving these new scripture verses and must have them. It was a great pleausure for me to hop on alle the blogs with so many beautiful and hopeful cards. Thanks for the inspirations and 7 years great job! Happy Anniversary! The cards are so beautiful! Keep up the good work! ODBD stamps have filled a need in my life, a way to encourage others with scripture in a tangible way. 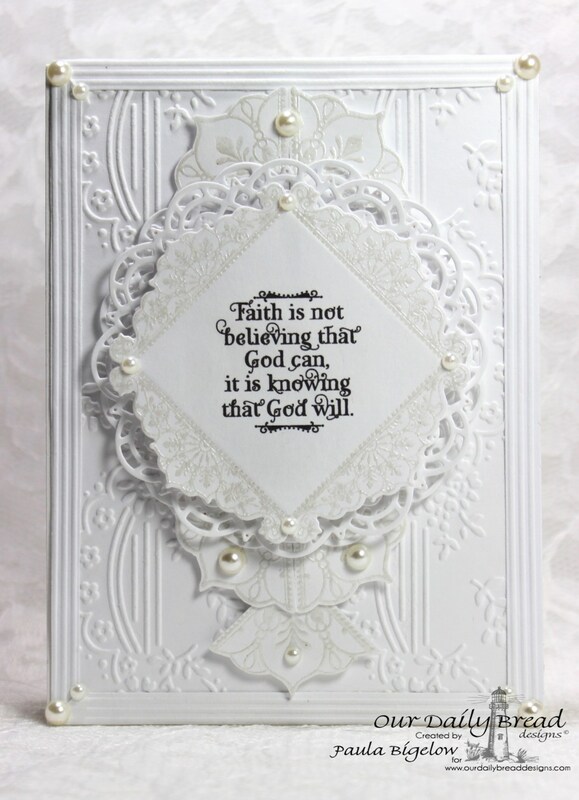 I love being able to choose just the right scripture for a card to send to someone who is hurting. Thank you for filling the need for Christian stamps. And thanks for the inspiration from the designers. Happy Anniversary! Beautiful, beautiful inspiration! Your design team is incredible! 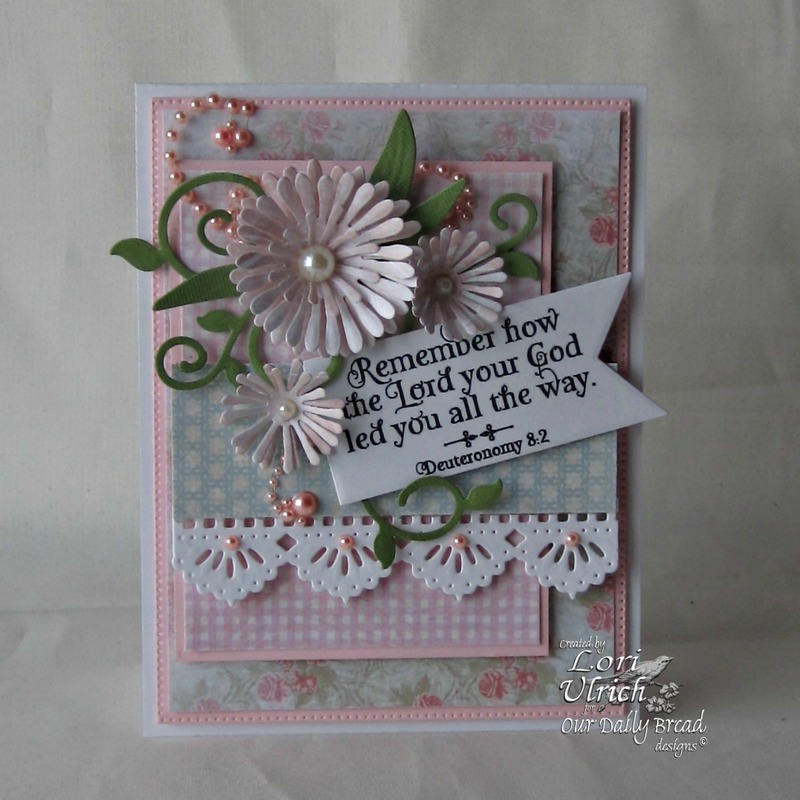 I love to see the new sets used in such a lovely way, it inspires me with my own cardmaking. Thank you for creating these faith based stamps. Gorgeous creations from the DT. Happy Anniversary! Awesome stamp sets. Thank you for all your inspirational stamp designs - happy anniversary! These cards are gorgeous. I love the stamp sets and the detailed work of each artist. I think I want to case each one and make an inspiration wall. They are worth framing. Happy Anniversary!!! All of the cards are beautiful but how could they not be with the awesome paper collections, dies, and stamps your company makes for all of us to craft with. I am so blessed to have your company and all of you in my life. 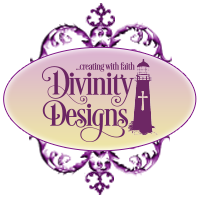 I use your supplies so much in my business and they have given me a great group of customers who know I have scriptures and religious words in my cards for them to purchase. Thank you so .... so much!! Happy Anniversary! I love the font and verses in the anniversary sets! 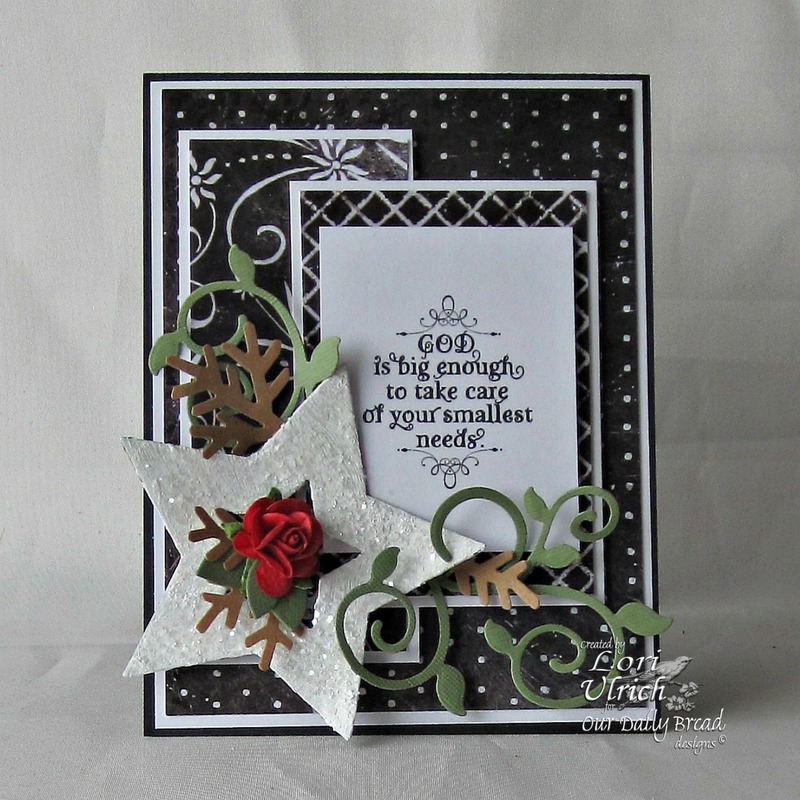 Ton of card making inspiration on the hop! 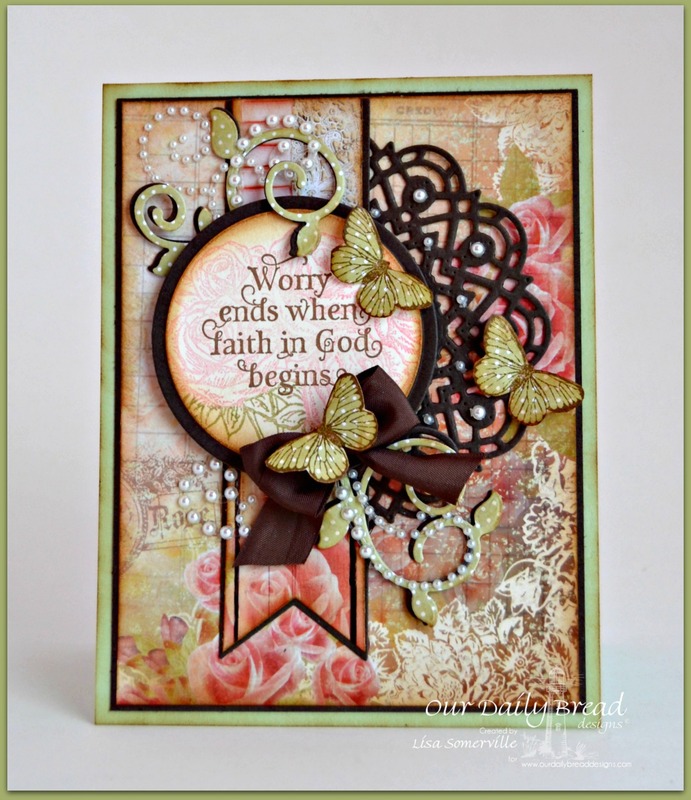 As usual al the DT's cards are beautiful! Love the new verses.